Willie "Speculator" Burns' W.T. 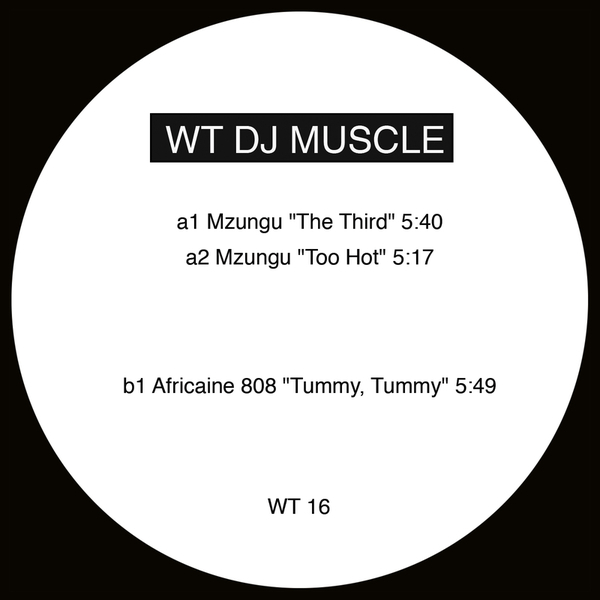 Muscle label sets off three psycho-Afro-house tracks most likely produced by himself under alias. A-side Mzungu gives up the raw Chicago jacks and exotic chants of 'The Third' and a dotty acid jacker 'Too Hot' in classic Gherkin jerk style. Africaine 808 holds it down on the B-side with a colourful, Kwaito-styled bounce called 'Tummy Tummy'.